Add it the salt and pepper and mix well. Toast the bread in a toaster, on broil in the oven, or on the grill. 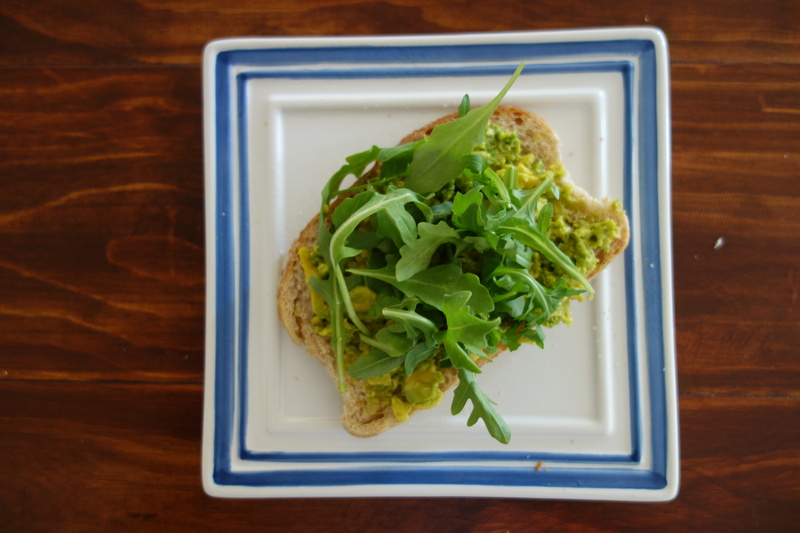 Spread the avocado on the toasted bread. Top with arugula. That’s it! 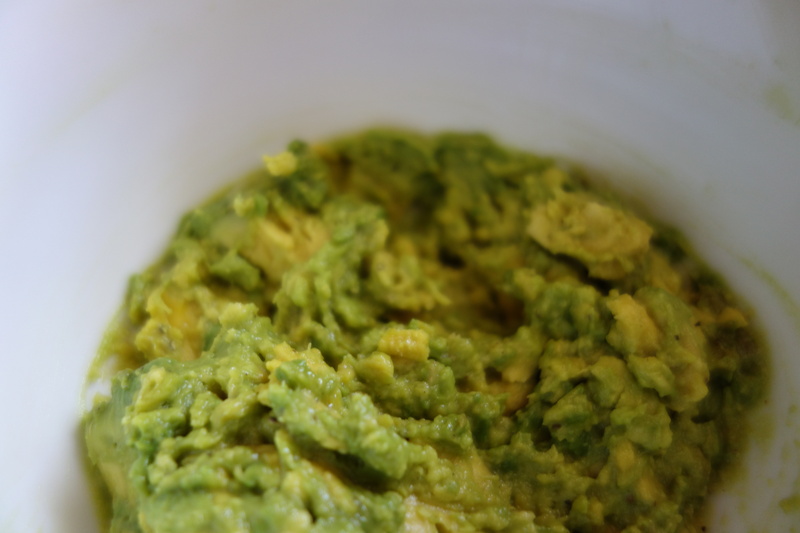 Mix salt and pepper with avocado. 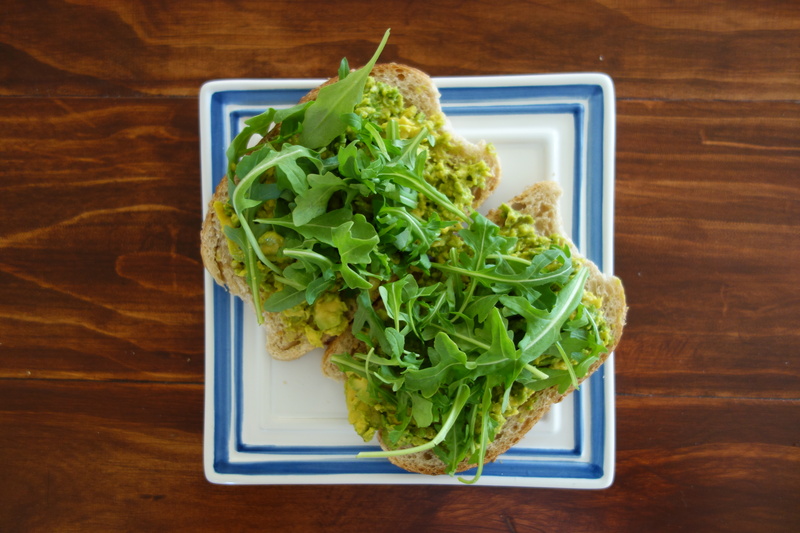 Spread avocado mixture onto toasted bread.